I am a teacher and writer who, until recently, was living in Bangladesh with my family. We have lived here since 2008 but have been visiting for longer than that. In some ways, my heart has been here all my life only I didn’t know it. I was born in Wigan, raised in Leicestershire and did my degree in Cambridge where I met my wife. We lived there for 8 years before moving to Cumbria where I was deputy head of the Music department in a local school for 8 years. Although trained in music, maths and science were never far away and I have always taught these subjects almost as hobbies for nearly 20 years. In Bangladesh, I taught these subjects for real, alongside other subjects such as Computer Studies and I helped grow a team running UK O-level subjects for a small school for Bangladeshis in one of the poorest parts of the country. Since leaving Bangladesh, that team has carried on in strength. I have always been writing in some form or another and actually had my first article published years ago when I was just 12. Five years ago I rekindled this passion to write and after several published articles over four years went full time as a freelance writer last year. 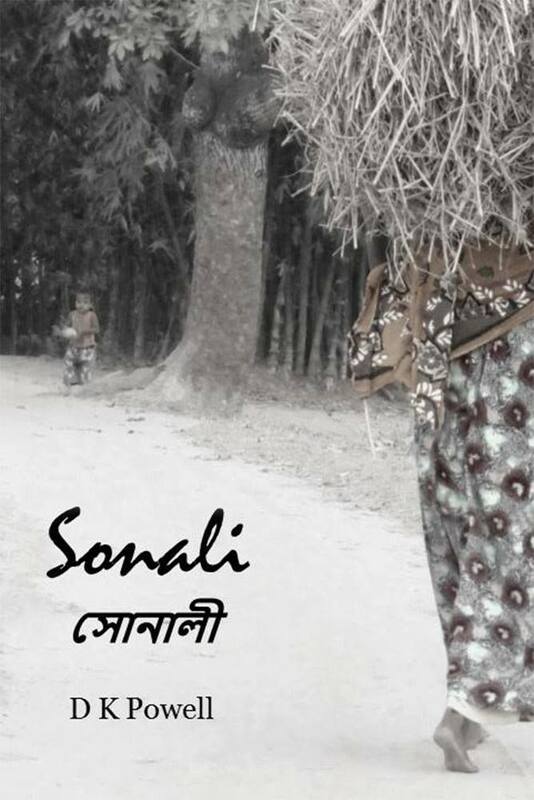 In April 2014 my first book Sonali was published to help raise funds for a young student of mine called Ria. The book was reissued in December 2016 as both Kindle and paperback formats in Bengali and English. 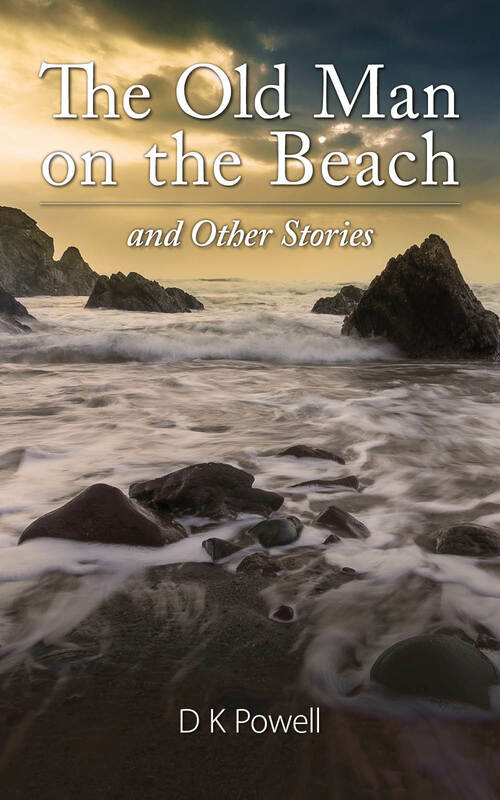 In March 2017 I published my second book, ‘The Old Man on the Beach and other stories’ which is a collection of literary short stories and semi-fictional essays. My blog aims to look at all these areas of my life and that of those around me and to share my thoughts ‘aloud’ as it were to all who are interested. I hope you will be one them. Not too sure if you remember me, I am Krishna. 4 years ago, I used to ran a blog here called KountingKrishes. I lost access to it, Now I created a new blog and started writing again. Anyways, It’s great to see that you haven’t stopped writing. Glad to have found your site again! Stay blessed! You too Nomzi – glad you came to visit! You have a new task awaiting you at http://www.inkingthethinking.wordpress.com titled ‘Spreading Love’. I hope you will accept it! I’m so glad our paths have crossed here, at WordPress. I look forward to future encounters and thanks for your wonderful blog. Hey Ken, Wanted you to know that I’ve nominated your blog -Very Inspiring Blogger Award – hope that you accept. Thanks. That’s very kind of you – coming from you as a long-term reader and one who runs an astonishingly good blog I take it as a very great compliment. I haven’t accept an award in a very long time (they come up so often – and often from people I’ve never had any involvment with – and usually require some kind of multiple nominations in a ponzi-like scheme that I usually gratefully decline) so you’ll have to tell me what I need to do in order to ‘accept’ this one from you! Sorry Ken, Just found your message. I don’t like the new layout for comments. They have actually made it more difficult. But if you go to the post where I nominated you, you will find the rules. This award isn’t that bad. Thanks for responding. Hey there, how are you? Just tuned into your blog and decided to follow. Check me out if you like over at http://www.thatssojacob.wordpress.com. Have a great day! i read your article about our beautiful country Bangladesh. i like to work for you.i am so much interested in you school program. if you comfortable i would like to have your contact address..
Just stumbled upon this blog. You seem be a very creative person. Looking forward to your posts. Thank you very much! Good to see you here Kabamba, I hope you will enjoy the future posts. Best wishes, Ken. Ken, If you are still interested I’d love to have you do a post on my blog. Let me know. Yes! Definitely – please contact me on ken.fordpowell@gmail.com or find me on Facebook and we can chat privately about the details. I can’t promise to write something in a rush as we prepare for leaving Bangladesh but I would still be very interested in writing a post for you and we can arrange a deadline for it. Best wishes. K.
Thanks for dropping by my blog, Ken! Delighted to know about you. Your blog is awesome. I’m quite a new blogger. Great blog you have here. Loved to read your experiences. Good luck ! I stumbled on your blog while researching for my own blog that I’ve created while living in Kazan, Russia. I hope you don’t mind that I did a pingback to your blog. Actually it will bring others to see what you are doing there. What I do is create what I call Mirror Reflections that show the similarities between cultures. Come take a look. I will continue to follow your blog as I find my world view growing more all the time by doing so. It’s been an evolution of sorts, it grows and changes as my understanding gains a greater depth of the world at large. Any thoughts or ideas that you may have would be welcomed. can you share your email address with me? I want to ask a few questions. I completely understand, and glad you understood the gesture! Are there any videos of you performing? I tried going through the blog, but couldn’t find any… Would love to see some if you have them. Happy March and springtime to you, your family and everyone in Bangladesh! All the best to your teaching, writing and playing music in the community! Dear Ken, thank you for stopping by my blog. I’m fascinated by your blog here. I also liked your Bangla comment up here. I follow Bangla a bit ((grew up in the eastern part of India). I look forward to ‘exchanging’ posts and notes in the future. All the best! Thank you Jerry. Best wishes. Just wanted to let you know I have nominated you for the Very Inspiring Blogger Award. I hope this is welcome news to you. If you prefer not to accept the award, I certainly understand, but I hope you will visit the other nominees, and they will visit you, just the same. To see more about the award and accepting this nomination, please visit my post at http://wp.me/p1w5ra-H8. All the best! Thank you! That is very kind of you though I still maintain that Bangladesh does more for me that I will ever do for that country 🙂 Best wishes to you. thank you for being such a great reader on my blog, I am glad that I have gotten to know you as well. Happy New Year and all the best to you and your family in the new year! Thanks for the visit to my blog today. Lovely to read and hear about your adventures abroad. Very inspirational. Oh here i found a blogger / teacher / musician & guest of Asia 🙂 , truly inspiring . a noble blog . I always find people who do the sort of thing you are doing to be inspiring. People like you are a constant reminder to me that we don’t have to live in a confined box. There is a whole WORLD out there :). As I constantly tell people on these pages I really don’t deserve any accolades for being here. I just do my job same as I did in the UK. I am grateful for the kinds words such as you have just given but they tell me much more about the kind heart of the giver than they do about myself. What I CAN tell you is the privilege it is to BE here and live alongside the ones who REALLY deserve the title of ‘inspiring’. Watching good, honest, hard-working poor people who content themselves with what they’ve got is really the most inspiring. I’m not saying poverty is good – of course it’s not – but I see people here that just totally redefine my image of what it means to be human. Just stumbled upon your blog whilst searching for random news on Bangladesh. Like one of the audiences above, I have taken the opposite direction whereby in the process of migrating from east to west. A Bangladeshi living in the UK. Liking your work out there and interesting articles in this blog. I look forward to reading them all one day! Thank you for all the works and contributions in Bangladesh. Are you on twitter? if so, please share the address. Thanks Immy – great to hear from you! I hope you enjoy reading the blog and continue to contribute comments. I’m not on twitter as yet but I think the number of days I can resist are limited! I may be forced to join it very soon as I have been advised it will be the best way to advertise my book I’m publishing very soon. So, when that happens, I’ll let everyone know! Cool site. I’ve not heard much about Bangladesh so it will be interesting to read more of your articles. I’m a keen traveler. Welcome aboard Jamie! I hope you find the blog useful and interesting to you. Good to hear from you! Thank you for the award you gave me here – I was touched to receive it and proud to put it on my blog. Best wishes to you! I’m one of those who are interested in your thoughts and stories of your life. Nice meeting you here. Happy blogging. I read your ‘About’ with great interest and found it very inspiring. How nice you are into the noble occupation of teaching. And now knowing you are fluent in Bengali makes me admire you more. Wish you and your family all the very best. You know… there is no way to “like” or “comment” underneath your actual daily blogs. Well, maybe I can’t find the button there. Anyway, I’ve been following your blog for a while and do enjoy them. The posts on England are a nice change. It’s quite exotic from my S.E. Asian perspective. I understand everything you refer to when you write about Bangla Desh… What opr who though are the “Solway Deltas” and why would you want to grow up to live/be there? . I think you have come to the home page and need to click on the title of the blog. Then you will come to the full page itself where you will find likes and comments galore! They are there I promise you! Thanks for your comments about the posts on England – I like to put ones in that reflect the two cultures I am part of and, as I will explore in the 2nd part of the one on Coalville, I do make connections between them. Your life is awesome. I am looking forward to reading more. It sounds like you’ve led an interesting life with plenty of ‘flavor’. Hope you don’t mind if I tag along! I love it when writers follow me. Nothing against gambling addicts or college kids, but it’s an extra-special nod when someone who loves what I love takes the time. Thank you. I’m looking forward to reading your work. Take a look and feel free to nominate some other bloggers for the award..although it’s not mandatory! I really, really like your blog! Thanks for looking me up and giving me the opportunity to find your blog. Thank you for coming too! I heartily recommend your blog to anyone passing by – it has been a great read and I’m looking forward to more! How amazing that you are blogging from Bangladesh Ken…you are really an amazing person, and your story here is very inspiring! Glad to have found you. ok, now i know all about my uncle Ken! Inspiring story! 🙂 Am sure your students are happy to have you as their teacher. Looking forward to reading more of your writings. Whenever you get a chance, you are welcome to visit mine. Wow…you and your wife sound like incredible people who probably have a vast amount of stories to share, full of your life experiences! Thanks for coming by my blog. I’ve had a stroll around your blog and I find the stuff you write about and your story interesting. I will be adding you to my favourite list and will be checking your blog our regularly. Thank you very much! I enjoyed yours too. I look forward to hearing from you in the future. Keep up the good blogging! I write for bdnews24.com (if you heard of it). I’m afraid they don’t really take English articles. 😦 I write in Bangla version of it. Is there a chance we can chat online? Do you chat using Yahoo or facebook? Hote pare je ami bangla script likte pare – ami bangla lekhte pare, pore ebong bolte pare. Kintu shombhoboto je ami shahajjo lagbe karon amar bekharon eta khub bhalo na! He, ami facebook bebohar korchi – amar nam kujben. Apni janen je onek ingreji khorbor kagoj Bangladeshe pawa jaye? Tai na? Shekhane apnar lekhte uchit!! Obossheshe, he nischoy je bdnews24.com ami jani! Protek din je ami bangla bhasha kagoj ami porchi.